To be labeled as “USDA organic,” 95% of the ingredients must be organically grown and the remaining 5% may be non-organic agricultural ingredients or synthetic substances that have been approved for use in organics by the USDA. The 5% of non-organic products are usually derived from GMO corn which is highly sprayed with Monsanto’s Roundup. It’s a little known fact that some organic packaged foods contain GMOs and pesticides thanks to the lobbying efforts of Big Organic corporations. The fact is that citric acid does not even come from citric fruit like oranges or lemons. You might have envisioned workers pouring vats of freshly squeezed lemon or orange juice into the product. No, my good friend, citric acid is a product derived from GMO corn! Cheap corn permeates every facet of the American diet … even organics! Its derivatives including citric acid are used as preservatives, taste enhancers and a whole variety of other things. Citric acid is produced using a mold, Aspergillus niger. The mold is grown in the presence of a carbohydrate to produce citric acid. In order to get higher yields, genetically modified Aspergillus niger is employed. Besides the genetically modified mold being used, the carbohydrate “food” that the mold metabolizes is often genetically modified corn. On September 26, 2012, the United States Department of Agriculture (USDA) published a rule that continues its policy of allowing the indiscriminate and illegal addition of synthetic nutrients to organic foods. Nutrients occur naturally in foods, and many are essential for good health. But organic consumers expect the nutrients in their foods to be naturally occurring rather than added synthetics that are mass produced in factories by chemical corporations, often using hazardous petrochemical substances. So USDA policy allows the “indiscriminate and illegal use” of synthetic products such as those derived from GMO corn and they also allow the description of those products on the packaging in a deceptive manner as long as it is chemically identical to the real thing. Even if you buy organic, the citric acid in that organic food is most likely made with GMO products and processes unless explicitly stated to the contrary. 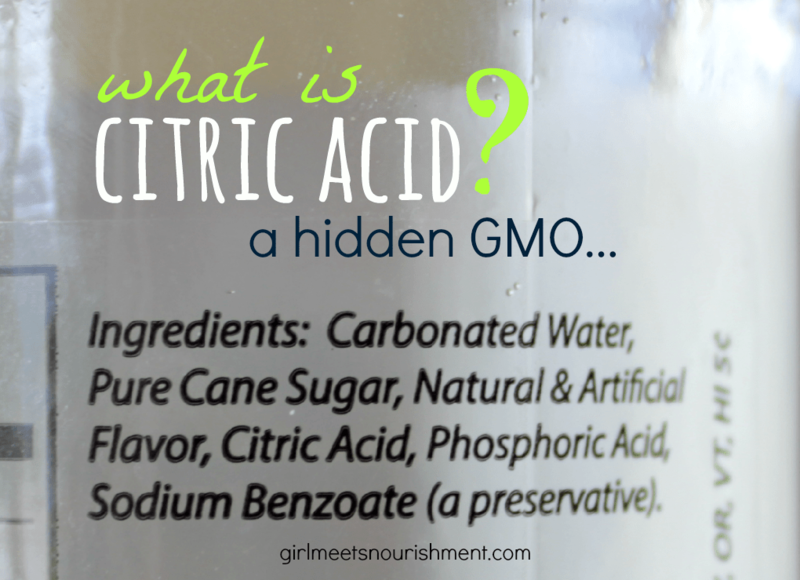 Why is citric acid used in foods? It sharpens taste and acts as a food preservative. 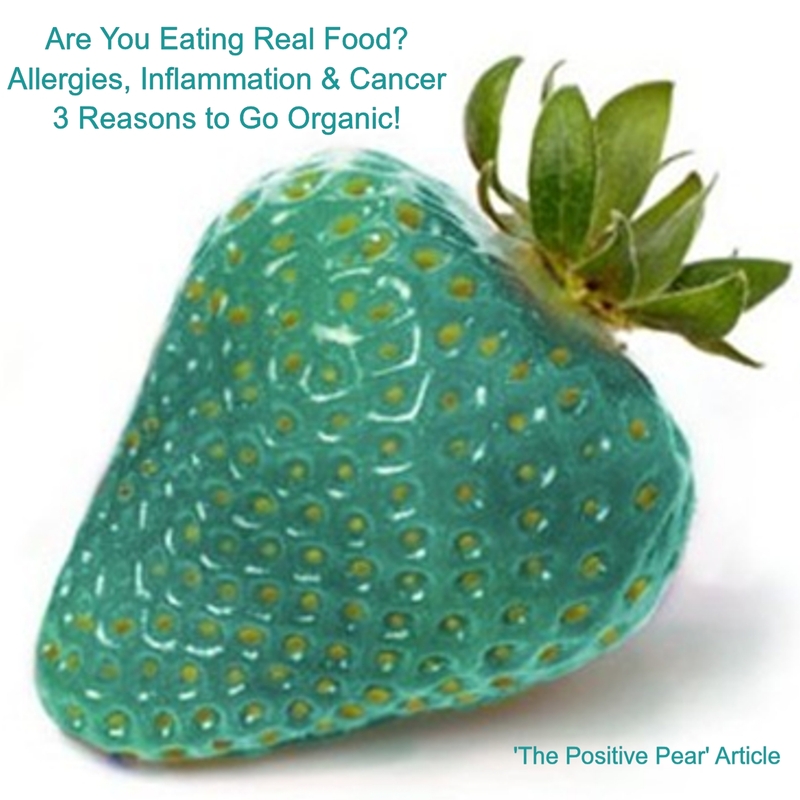 That’s why it’s in so many organic packaged food products. Citric acid is found in a huge number of products and is used in numerous processes: from shampoo to soda to cheese to beer making to candy to medicine to varnish remover. Citric acid has been linked to gastrointestinal problems and also to problems associated with the loss of dental enamel. In a study at the University of Bristol, UK, the increasing incidence of enamel erosion was causally connected to the high amounts of citric acid added to drinks and food. It is important to check the nutrition list on the labels of packaged organic products to avoid exposure to GMOs. Citric acid is one of the worst offenders. It may be chemically identical to citric acid from oranges and lemons, but it was produced in an industrial process not involving any citric fruits whatsoever. In fact it was probably produced using a GMO mold and GMO corn. It is better to deal with local farmers since most organic products found in stores come from food giants which have bought out what started as small organic operations. In 1995 there were 81 independent organic processing companies in the United States. A decade later, Big Food had gobbled up all but 15 of them. Many iconic organic brands are owned by the titans of junk food, processed food and sugary beverages—the same corporations that spent millions to defeat GMO labeling initiatives in California and Washington. General Mills (which owns Muir Glen, Cascadian Farm, and LaraBar), Coca-Cola (Honest Tea, Odwalla), J.M. Smucker (R.W. Knudsen, Santa Cruz Organic), and many other corporate owners of organic brands contributed big bucks to deny citizens’ right to know what is in their food. WASHINGTON, May 8, 2014 – Agriculture Secretary Tom Vilsack today announced that USDA is making a historic $78 million investment in local and regional food systems, including food hubs, farmers markets, aggregation and processing facilities, distribution services, and other local food business enterprises. 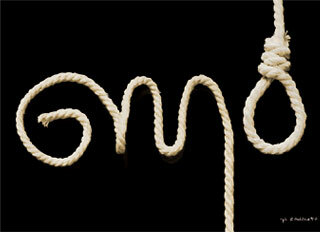 Russia is considering legislation to criminalize GMO foods describing GMO food producers as terrorists. France, the largest agricultural producer in Europe, is preparing to restore a GMO maize ban in their country. Twenty-six countries, including Switzerland, Australia, Austria, China, India, France, Germany, Hungary, Luxembourg, Greece, Bulgaria, Poland, Italy and Mexico, have a total or partial ban on GMOs. Significant restrictions on GMOs exist in about sixty other countries. On May 8, Peter Shumlin, Governor of Vermont, signed a historic bill requiring food manufacturers to label genetically engineered (GE) foods, and to drop the practice of labeling GE foods as “natural” or “all natural.” Monsanto and the Grocery Manufacturers Association (GMA) has threatened to sue the state of Vermont. New research has found that glyphosate, the primary ingredient in Monsanto’s Roundup, is actually found in the breast milk of women, leading to damage to underdeveloped human beings. In 2014, half the states will likely consider placing special labels on food that use genetically modified organisms (GMOs), according to Pamela M. Prah at PEW’s Stateline. “Big Food” is ready for the challenge though and will use its influence and resources to protect profits gained from GMOs that are found in 80 percent of the food America consumes.